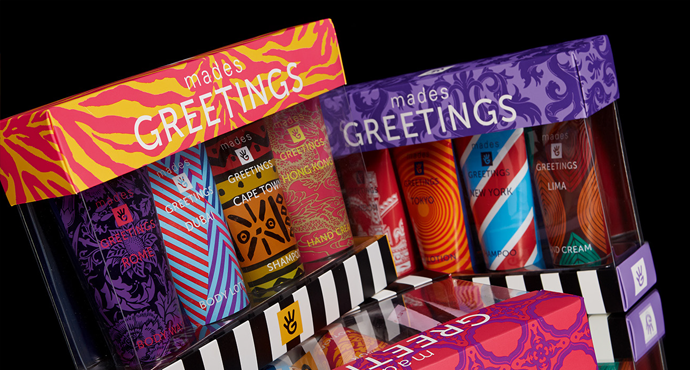 London, Tokio, New York, Paris ... Mades Greetings brings you every day to a new destination! Well-known world favourite hotspot cities are represented in this extensive range. Body wash with a rich foam that effectively, but mildly cleanses the skin. The added glycerin helps the skin in staying soft and helps to not dry out. 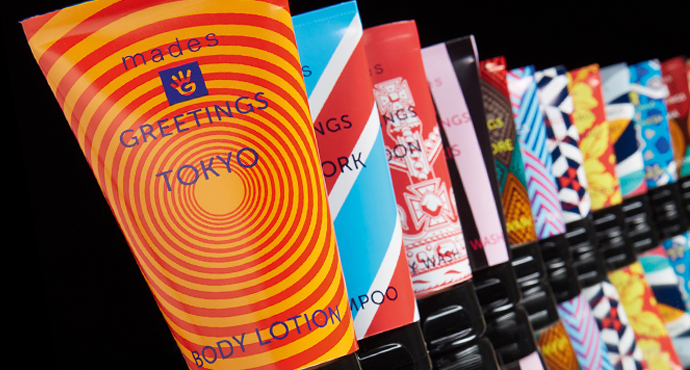 Body lotion with nourishing and moisturising properties is quickly absorbed by the skin without a greasy after-feel. Volumising shampoo suitable for all hair types, designed to clean the hair from root to hair end. 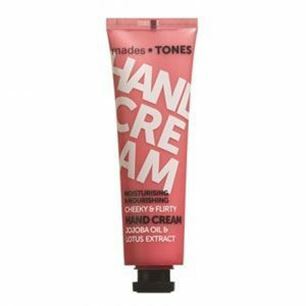 Hand cream for nourishing and moisturising the hands skin without a greasy after-feel. I love the volumizing shampoo! The lightweight formula boosts the volume while offering smoothness, without weighing down your hair. To maximise the volumising effect of the shampoo polyquaternium-7 has been added as a conditioning agent, instead of silicones. This ingredient is a synthetic polymer, commonly used as a hair conditioning agent. It has the ability to remove tangles and straighten unruly hair: neutralises the negative charge of hair protein, resulting in soft and smooth hair. Products with polyquaternium-7 are suitable for all hair types: they add shine to the hair and prevent it from becoming dull and damaged.